WHO ARE WE? 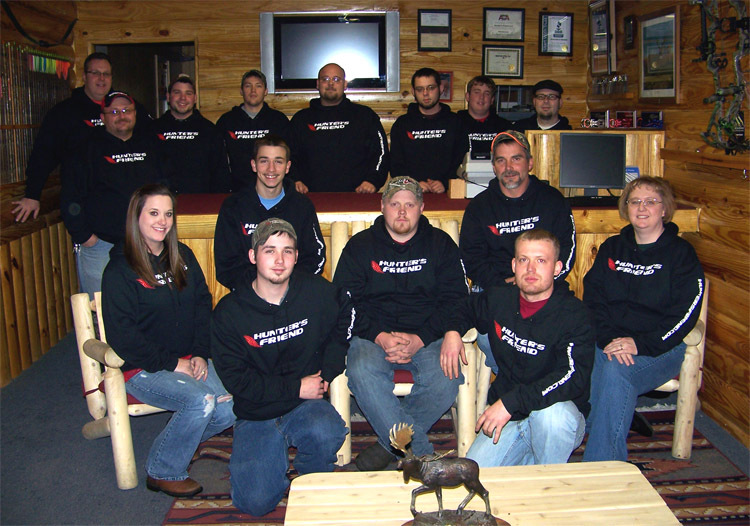 Established in 1999, Hunter's Friend LLC is one of the nation's largest stand-alone Archery Pro-Shops. We serve bowhunters and archery enthusiasts in every state and in most countries around the world. We are an accredited member of the Better Business Bureau with an A+ rating, we are a Dunn & Bradstreet listed business establishment, and we are a proud member of the Archery Trade Association (ATA). WHAT WE DO: To make a long story short, we make and sell archery equipment, mostly to bowhunters, and we do it a little differently than other archery retailers. Our philosophy is based on a model of excellent technical service along with great values (not in lieu of). We believe archery consumers shouldn't have to choose between getting good technical service and getting a competitive price. Archery consumers have traditionally had two choices: pay top-dollar to buy from a local pro-shop with competent technical help, or try to save money buying from a discount mail-order store and be "on your own" regarding setup and tuning. It's our belief that bowhunters and archery enthusiasts shouldn't have to choose one or the other. You should be able to get both. Over sixteen years later, that’s why we’re still here. TECHNICAL SERVICE IS KEY: We've worked hard to bridge the gap between the local and mail-order concepts. We don't sell bows like most internet and mail-order archery suppliers. Less than 2% of the bows we sell are bare bows. The other 98% are pro-shop compound bow systems (package deals) which we first setup and service in our pro-shop. Today we are one of the busiest independent Archery Pro-Shops in the United States, and we're honored to be the #1 standalone dealership for many of the brands we represent. Our pro shop sets up thousands of compound bows each year, and every single bow and custom arrow set we prepare - from the cheapest to most expensive - gets our very best service and support. WHAT WE’RE NOT: Of course, no matter how many bows we sell, you won't ever catch us acting like a "big-box" store. We're not a distribution center, a mass-merchant, a warehouse operation, or some kind of "Power Seller." We don't sell trolling-motors, kayaks, or golf bags - and our showroom doesn't even have a fish tank. When you call us, you GET A PERSON - not a prompt. In this store, we have customers, not account numbers. We know that’s not how big retail normally goes, but we still prefer an old-fashioned approach. We focus on providing the smartest values and the best services in the archery industry. Archery is what we know; archery is what we love. Perhaps that's why we enjoy one of the best customer satisfaction rates of any Archery Pro-Shop in the United States. If you've haven't bought from our Pro-Shop before, we would love a chance to work for you and show you what we can do. Our crew starts building bows and fletching arrows at 6:30 every morning. If you need something, we'll be here and ready to help. HOW IT ALL STARTED: We haven't always offered pro-shop compound bow packages to our internet customers. Since the traditional wisdom was that the archery buyer must physically be in the store to ensure a proper fit and setup on a new bow, we simply hadn't considered doing things any other way. At one time, the pro-shop was where we served our walk-in customers, and our website was just the place where we advertised our walk-in services and sold some miscellaneous parts. But as we got to know our new internet customers, we began to discover how many bowhunters abroad had no reasonable access to a fair and reputable Archery Pro-Shop. Time and time again our internet customers remarked that their "local" archery stores were too far away, too expensive, closed in the off season, only willing to offer certain brands, difficult to deal with, etc. We began to wonder if it was possible to bridge the gap between the physical Archery Pro-Shop and internet store. We had the equipment, the technical staff, and the facilities to get the job done. But was it possible to build, fit and tune-up a new bow for a customer 1,000 miles away? Could we offer our internet customers ALL the same services as our walk-in customers and make it work? In spite of what the critics would say, we decided to give it a try. OUR FIRST ATTEMPT: In the fall of 2001, we launched the program. We began by writing and posting a buyer's help-guide on the web, called simply the Help with the Details page (sorry, we couldn’t think of a more creative title). This guide gave our customers the basics on what they needed to know before placing an order: how to measure draw length, how to choose an appropriate draw weight, selecting fletchings, nock set options, peep choices, let-off percentage choices, etc. Then we picked just one compound bow for the experiment, an inexpensive single-cam rig called the Champion Buck Bow. We rigged it up really nice. Everything was included: bow, sight, rest, quiver, arrows, broadheads, sling, stabilizer, release, silencers, even a hard-shell case. We advertised that the bow would be delivered fully setup, adjusted, tuned, pre-sighted and ready-to-shoot. We nervously awaited customer response. To our complete surprise, we had orders the very next day. People seemed to like the idea and they were willing to give us a chance - what a blessing indeed. We filled orders for the Champion Buck Bow from literally all over the US & Canada, and even a few to Europe and South Africa. It certainly wasn't easy. In fact, it was a lot of work, as we wanted to get it perfect and prove our critics wrong. We spent many hours working with every bow until they were all driving tacks. 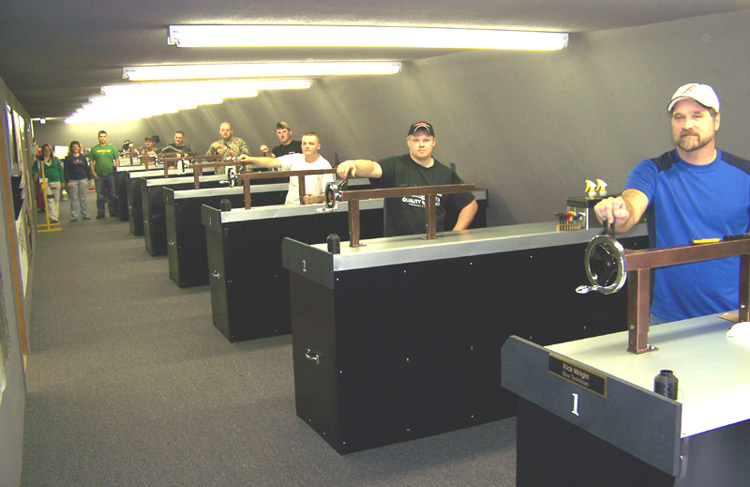 We adjusted every bow to their exact draw weights, draw lengths, and let-offs. We pre-cycled, paper-tuned, group-tuned, chronographed, powder-tested, pre-sighted, and documented results on every single unit meticulously. We test-shot those bows until our arms were too tired to lift up - but we had fun doing it. HOLDING OUR BREATH: Of course, just selling something doesn't make it successful. We knew the real proof would be the response from our customers. And we were thrilled that of the 125+ "test" bow systems built that season – zero units were returned for the money-back guarantee. Only a small handful of customers needed any adjustments whatsoever and we handled those issues largely by phone. Our pro-shop had found a way to consistently hit the nail on the head, providing internet customers with a professionally setup bow, built to fit, and shooting great right out of the case. In fact, we got a number of thank you letters and photographs from our pro shop package customers, many of whom had bowhunting success that first season. The hard work had paid-off and we were really proud of the results. Incidentally, since the inception of the program, our pro shop compound bow packages continue to have the highest customer satisfaction rate of anything we sell in our store. THANK YOU HF CUSTOMERS: As we continued to improve our program, offering more services and premium bow lines each subsequent year, the popularity of our pro-shop compound bow packages continued to grow and mature. Today we are one of the busiest independent archery pro-shops in the United States. It would seem we have the Champion Buck Bow and a LOT of great customers to thank. While we never dreamed our pro-shop could be so successful, we are truly blessed and sincerely thankful to all of the bowhunters who took a chance on us - and to the many loyal repeat customers who buy their new compound bows and custom arrows from Hunter's Friend. We truly appreciate your business.